If you’re thinking about doing a little snow skiing this winter, be sure to include western North Carolina in your planning. It’s a different kind of skiing experience than what you’ll have in Utah or Colorado, but if you’re on a budget, just learning, or you simply don’t have the time to make it out to the big ski resorts out west, North Carolina has some great alternatives. Just 30 minutes west of Brevard, or an hour from the Asheville Regional Airport, you’ll find the Sapphire Valley Resort at about 3500 ft elevation. It’s inexpensive and a terrific place to learn without the crowds typically found at bigger ski resorts. There is one main slope that is 1600ft with a 200ft drop, a bunny slope, a tube hill, and an onsite school for all ages. 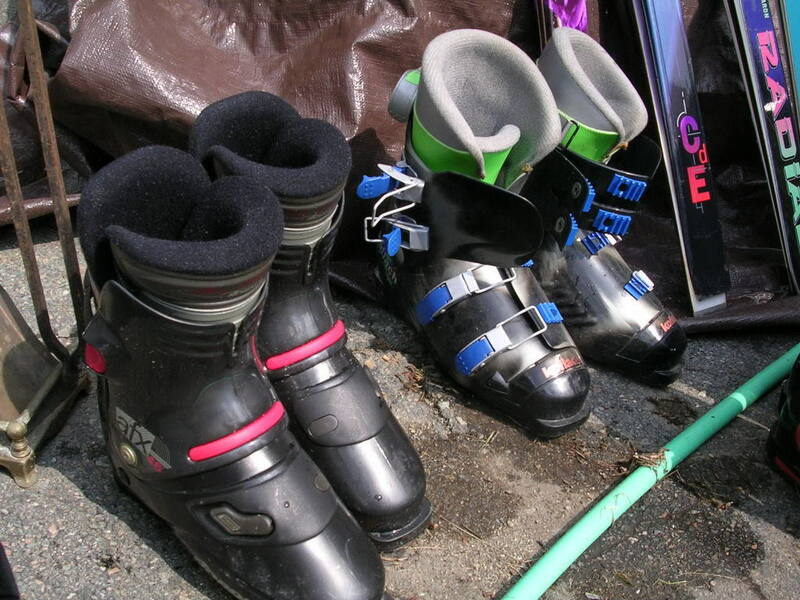 If you don’t have the gear, you can rent everything you need including skis, snow boards, boots, and bibs. When you aren’t on the slopes, you can grab a bite to eat at the on site restaurant. There are a number of accommodation options in the area including a Hampton Inn that is just outside the entrance to Sapphire Valley. You can reach the resort at 828-743-7663 or visit online at www.sapphirevalley.com. For the more adventurous skier travel another hour or so west and visit Cataloochee. This is a much bigger ski center with over 50 acres of skiing options on 12 different trails depending on your skiing ability. Cataloochee is at about 5400 ft. elevation so it is one of the first resorts to open each season. They have a full rental program, school, and tons of different events going on throughout the winter months. North and northeast of the Asheville area, in the higher elevations are Wolf Ridge, Beech, and Sugar Mountain. Most ski resorts offer packages this time of year so be sure to visit their websites for additional information. Western North Carolina is a great place to visit any time of the year. This winter grab the family and discover what winter is all about here in western North Carolina. I love living in a small town. I just do. For more years than I care to recall, I lived in a hot, sprawling, crowded (and getting more crowded by the minute) area on the west coast of Florida. The only thing that got me through it all was my plan to eventually relocate to the mountains of western North Carolina. Finally, all the stars aligned and we made the move in 2005. I’ve never regretted it for a nanosecond. We keep in touch with our friends in Florida who continue to extend invitations to come see them but its getting hard to come up with creative excuses for not accepting. The truth is, I don’t like Florida. I am quite happy here at 3,500 feet elevation, far away from the car-sized bugs, the heat and ever-present humidity that causes a chemical imbalance in my head and my clothes to stick to my skin, not to mention the sheer number of people and cars every where you try to go. There are a lot of things about living in a small town that I love and some things that, for some people, can be bothersome, like when you need to have work done around the house. If you’re used to hiring people to do work on some kind of a set schedule, you have to get over that idea or at the very least keep your sense of humor. There is this thing called “mountain time” and if you want to hold on to your sanity while you’re enjoying the spectacular views and amazing climate, you have to learn to roll with it the best you can. One day a friend of ours who was up from Florida backed his truck into a shallow ditch and he needed a tow. He was able to reach someone through AAA and when he explained the situation, the man with the tow equipment answered…”Well, I could do it…. (long pause)…but I’m kinda tired”. OK, I personally find that hysterical. If it was my car that was stuck in the ditch I suppose I wouldn’t find it so funny, but it’s the notion that this guy had worked hard all day and dang it all, he just didn’t want to do any more work that day that I appreciated. Today I called a local nursery to see about buying some azaleas to get in the ground before winter sets in. We live in an area that has four distinct seasons and most locally owned nurseries do the bulk of their business in the spring and summer, but they stay open year round with “winter hours” this time of year. When I called I got their answering machine and the friendly voice explained what their winter hours were but what came next made me laugh out loud. After informing callers what days they could expect the nursery to be open, the friendly voice says “But if it’s rainy, windy, cold, or snowing, we’re not open”. Call me crazy, but even though it means I better call first to make sure the weather conditions are just right I find their relaxed attitude and approach to the world to be refreshing. For lots of folks around here, there’s a lot more to life than just working everyday. I spent a good bit of my adult life in an area that never seemed to rest. No matter what time of night it was, there was the constant drone of automobile traffic in the distance. Grocery stores stayed open all night (and did a lot of business after midnight), there were fast food restaurants where you could get a hamburger at 3 in the morning and everyone I knew tried to cram 25 hours into a 24 hour day. Where we live now, it’s at least a 15 minute drive to the nearest grocery store and 30 minutes to town. But I can work from home and any time I want to, I can walk out on my front porch and all I will hear are the sounds of the river across the street. We had out-of-town company one time who stood on our back deck admiring the mountain view for the longest time before turning around and saying with what can only be described as reverence, “It’s so quiet!” And they were right. It’s quiet, it’s peaceful, and we live in a place where people ask how you’re doing, not to be polite, but because they really want to know. It’s the kind of place where kids still have soap box derby’s and people line the streets to welcome home a fallen soldier. It’s the kind of place where you can walk into the hardware store and have a conversation with the owner who also happens to be the Mayor. College football stadiums hold more people than the population of our entire county. And you know what? I like it that way. Sometime over the next day or so, I will head down the mountain past the waterfalls and trees. I may see a car or two….I may not. I’ll watch for that special place where the clouds hang just below the mountain tops creating a horizon that never fails to make me smile. And if the sun is out and the sky is clear, I’ll turn towards town and see if I can get some of those azaleas.